Are you worried about your dog while you’re away at work? Many pet parents worry their dog is bored, not getting enough exercise and/or damaging belongings or furnishings while they at work. 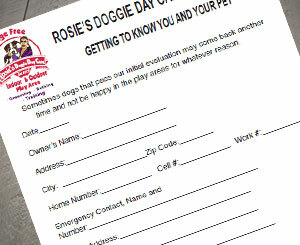 Rosie's Doggie Daycare provides fun cage-free Doggie Day Care that can make a major difference in your and your dog’s life. Our Day Care includes exercise, playtime, fresh air, and an opportunity to build socialization skills and most importantly – burn off all that pent-up energy! Give your dog something fun to look forward to every day! Our daycare attendants have years of dog handling experience and are dog behavior experts - ensuring that your pet will have a safe, fun, and enriching experience while at Rosie's. Rosie's also features a full service Grooming Salon with highly experienced and gentle Groomers. We customize each haircut to your desires and offer specialty services such as creative coloring, de-skunking and Furminator de-shedding. Have a dog that could brush up on their manners? 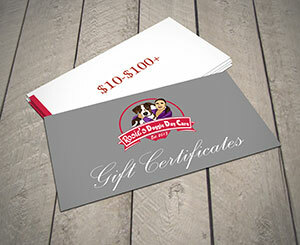 We offer many training packages and classes with our certified Dog Trainer. Training enhances communication between dog and owner, and can help immensely with problem behaviors.